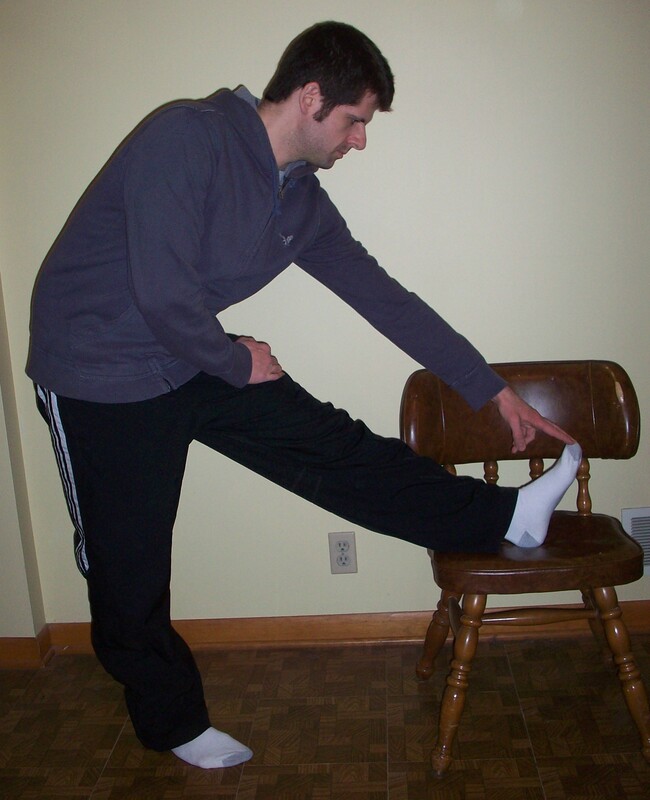 Admit it, you’ve probably asked yourself, “Am I doing the right stretch? Should I stretch right now?” And if you’re anything like me, you then went into the corner of the gym where you hoped no one would see you possibly embarrassing yourself stretching. There are two types of stretches: dynamic and static. This article will teach you the difference between both stretches and when one stretch is more appropriate to use than the other. Statically stretching before you exercise is proven to decrease the efficiency of your workout by almost 10%. In other words, if you are about to perform lunges and you statically stretch your hamstrings (as shown above) prior to lunging, you will lunge approximately 10% less weight than if you had not done the static stretches. Of greater importance, statically stretching before an exercise may place you at greater risk of injuring that muscle, too. Therefore, the best thing to do before a workout is a dynamic stretch. A dynamic stretch is essentially a simulation of the exercise you’re about to perform. If you’re about to run, great dynamic stretches to perform prior to running are body weight lunges, body weight squats, jumping jacks, kick-butts, or knee-highs. These dynamic stretches will engage your running muscles in a safe manner to allow for better performance. If you’re about perform an anaerobic exercise, like bicep curls, a dynamic warm-up stretch may be bicep curls with about 50% less weight than you plan to use during the exercise. Again, you want a simulation of the exercise you’re about to perform, but with less weight and intensity. Ok, so if a dynamic stretch is most appropriate before you workout, what should you perform after you workout? Post-workout is the time for a static stretch. After working out, your muscles are loose and susceptible to a greater range of motion. Therefore, you can increase the flexibility of your muscles if you perform the appropriate static stretches post-workout. 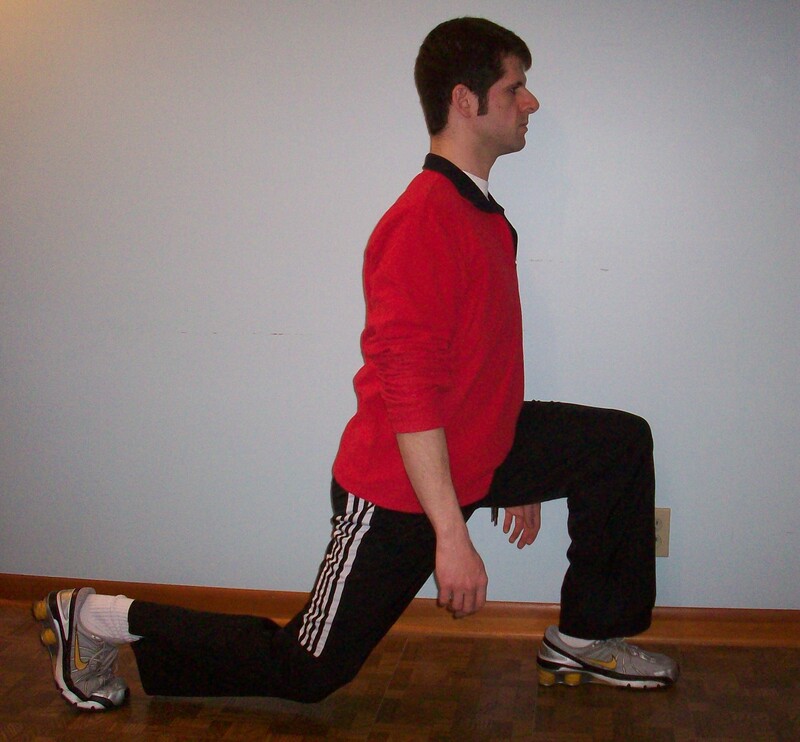 If you performed lunges, or ran, an appropriate post-workout stretch is the hamstring static-stretch shown above.